As we approach the conclusion of our series intended to equip candidates with key insight integral to their success, let’s consider what we’ve covered and how this final installment fits within the greater theme. In the first chapter of the series, we began with the end in mind. We discussed the dangers of counteroffers and how they can upend your professional growth. In the second chapter we approached the other end of the process, helping you understand why now is the time to capitalize on today’s candidate-driven market. 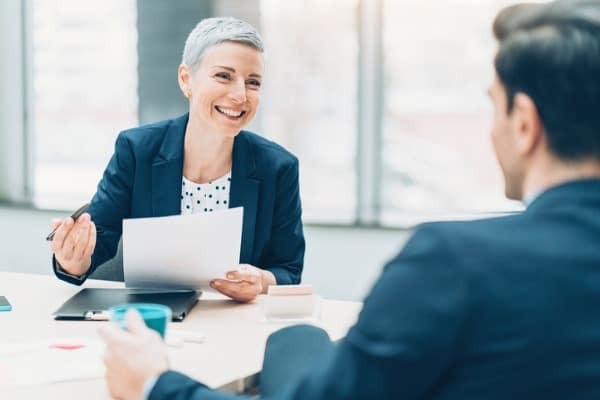 From making the decision to explore opportunities to overcoming counteroffers, it is vital that candidates listen to and communicate with their recruiter. The importance of open and honest communication may seem obvious, but its value to the recruiting process cannot be overstated. What we must reinforce is that the recruiter’s goal is to make the best possible match between candidate and company. We are trying to help individuals elevate their careers, and to do so, there needs to be reciprocal communication at all stages of the process. A career change can be a dramatic, life-altering occasion, and we believe that it is not something to be entered into lightly. We want to help our candidates improve their professional lives, and we believe that how that affects their personal lives is paramount. Among the numerous variables to consider, we stress that compensation should not be at the top of the list. Finding the right organization is more than finding the one that will pay the most directly out of the gate. Geography, company culture, and opportunities for growth should be among the most important factors a candidate considers when deciding to seek out new opportunities. It’s to the candidate’s benefit to be thoroughly transparent with their recruiter about why it is they would consider a change and what it is they are truly looking for. From preparing and polishing one’s resume to prepping for interviews, a candidate needs to keep in mind that the recruiter is more than a conduit between themselves and potential employers. When given the complete picture of a candidate’s needs and wants, a recruiter can be an effective advocate. Throughout the process, recruiters are most effective when they have honest feedback both from the employers and from the candidates. Additionally, not only is it vital that communication be open and honest, but it should also be timely. Being slow to respond or completely unresponsive erodes leverage that might help recruiters assist candidates in pursuing and achieving their favored opportunities. Recruiters like us at The James Allen Companies do not consider the job completed once a candidate has accepted an offer. The transitioning phase can be one riddled with questions and concerns for all parties involved. Continuing to maintain open and available communication helps ensure this process goes as smoothly as possible. At The James Allen Companies, we are committed to creating matches between employers and candidates that exhibit the potential to be mutually beneficial. We want to help organizations find the people best equipped to help them grow, and we want to help candidates land opportunities with the promise of helping them achieve their professional goals. Ultimately, what is most important for our candidates to understand is that we are concerned with helping you achieve those goals, and we have the best chance of success when there is consistent and reliable communication through all portions of the process. The more engaged a candidate is, the more likely we are to succeed.